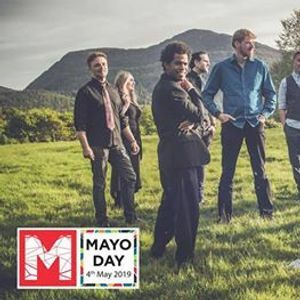 BAILE AN SALSA SET FOR CHRISTCHURCH AS PART OF MAYO DAY CELEBRATIONS! 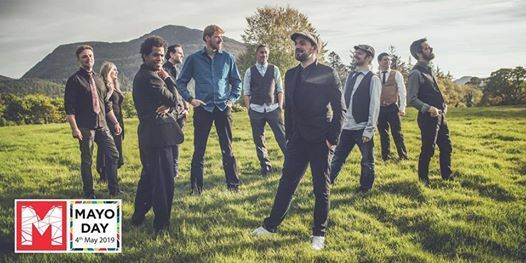 Baile An Salsa arrive at Christchurch Castlebar on Sat 4th May , bringing together an international mix of world-class musicians to deliver a phenomenal blend of Latin rhythms and traditional Irish Music - a fusion which they call "Salsa-Trad." The musicians seamlessly blend their influences from Latin America, Europe and the United States to create a contemporary twist of traditional tunes with original compositions. Vocals in English, Spanish and Irish, provided by the band's founder, Andrés Martorell, meld with the group's vibrant combination of instruments, creating a full, rich sound that is lively and danceable. Baile An Salsa have enjoyed popularity worldwide since forming in 2012 in Galway city. Their self-titled debut EP received airplay and rave reviews in Ireland and as far away as Poland, South America, Singapore and China. This success was quickly followed by a live appearance on RTÉ1's "The Late Late Show" and the release of their first full length album, Tribú. The group has performed live on radio and television, including a 2015 feature about the band’s history on TG4's “Imeall." Their positive message of diversity and unity contributes to their growing appeal, which allows the band to perform at various cultural gatherings. In Ireland and the USA, they have thrilled big crowds at concerts and festivals, including Kansas City Folk Fest, Kansas City Irish Fest, Galway Oyster Fest, Dublin's Temple Bar Trad Fest, Kilkee's Latin America Festival, Cork Gathering Festival, Galway Guinness Festival, and the Main Stage at Philadelphia Folk Fest where they had listeners dancing all the way up the hillside. When they had the honor of performing for Ireland’s President Higgins and his guests in June, the band had the crowd dancing at Áras an Uachtaráin. Powerful and engaging, Baile An Salsa's energetic and entertaining stage performance makes it nearly impossible for their audience to stay seated! Multicultural Baile An Salsa combined several Latin styles, Irish trad and a bit of funk on their latest album, Ériu. Produced by five time Grammy winner, Walter Flores and recorded at the world famous Grouse Lodge in Ireland, Ériu has received worldwide airplay since its release in early 2018. Tickets for the concert, €25, are available online at www.eventbrite.ie (booking fees may apply), or locally from Cuppa Joe's Castlebar.